The Texas Senate Finance Committee has voted to spend about $800 million in state funds to cover a Medicaid shortfall in the current two-year budget. 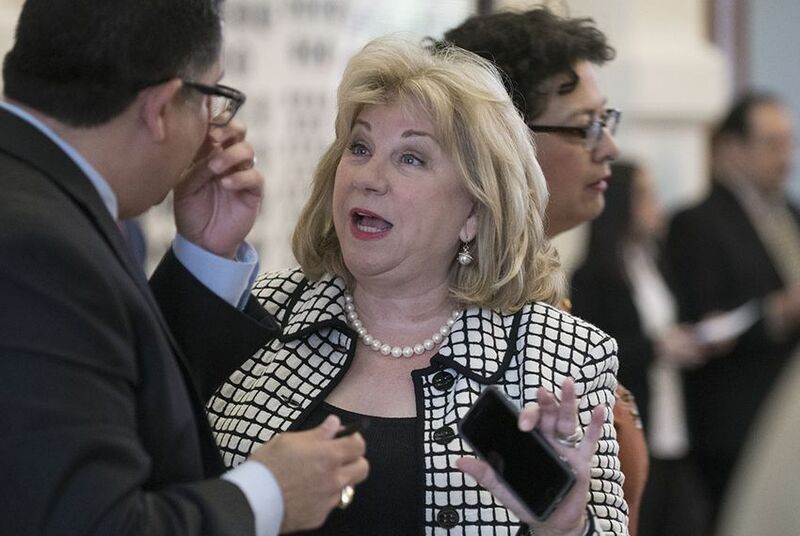 Texas Senate budget writers on Thursday approved a supplemental budget to pay for leftover expenses that aren’t covered in the state's current two-year budget, mostly for health and human services programs. The Senate Finance Committee unanimously voted to spend about $800 million in state funds — which comes with a matching $1.6 billion from the federal government — to cover a shortfall in Medicaid, the public health insurance program for the poor and disabled. That made up by far the largest chunk of the $2.6 billion supplemental budget approved Thursday. Another $158 million of combined state and federal funds would pay for “critical needs” at the Texas Department of Family and Protective Services, mostly to cover the costs of hiring new Child Protective Services caseworkers. The budget proposal will next go to the full Senate for approval. While there are major differences remaining to be reconciled between the House and Senate proposals for the next two-year budget, the two chambers’ supplemental budget proposals to plug holes left from 2015 are fairly harmonious. Both would cover the shortfall in Medicaid, though the House’s supplemental budget offered more funding to shore up the cost of the health care program. That difference is largely because cost projections for Medicaid have fallen in the months since the House passed its budget, state officials said Thursday. The major difference between the two chambers comes down to state funding for speech, occupational and physical therapy services provided to children with disabilities. The House supplemental budget offered some funds to reverse cuts made to the therapy program in 2015; the Senate budget, meanwhile, would keep the cut intact. Several therapy providers pleaded with Senate budget writers to change their minds. “Children are going right now without services, and businesses are closing,” said Rachel Hammon, executive director of the Texas Association of Home Care and Hospice. The 2015 budget cut reduced payments to therapists who treat children with Medicaid coverage. The Senate supplemental budget does offer $4.5 million for the state’s Early Childhood Intervention program, which provides comprehensive services, including therapies, to children under the age of 3. Here are three things to know if you're following the Texas House's marathon budget debate. Disclosure: The Texas Association of Home Care and Hospice has been a financial supporter of The Texas Tribune. Find a full list of donors and sponsors here.